Of the many first party titles Sony has released this generation, Guerrilla Games’ Horizon: Zero Dawn is arguably the most interesting. It’s a completely new IP and marks a significant departure from the studio’s bread-and-butter of first person shooters. So after selling 10 million units worldwide as of February 2019, the question is: where’s the sequel? It might not be far off, according to actress Janina Gavankar. Known for the role of Tatai in the first game’s DLC and playing Iden Versio in Star Wars Battlefront 2, Gavankar was present at the recent Star Wars Celebration. As per a Reddit thread by ninjyte, Gavankar met a fan cosplaying as Iden and discussed Horizon: Zero Dawn, noting, “It’s incredible. Wait till you see the sequel. You’re gonna die. I know some secrets! You’re gonna die.” The original Twitch clip was deleted, but you can see the mirror here. 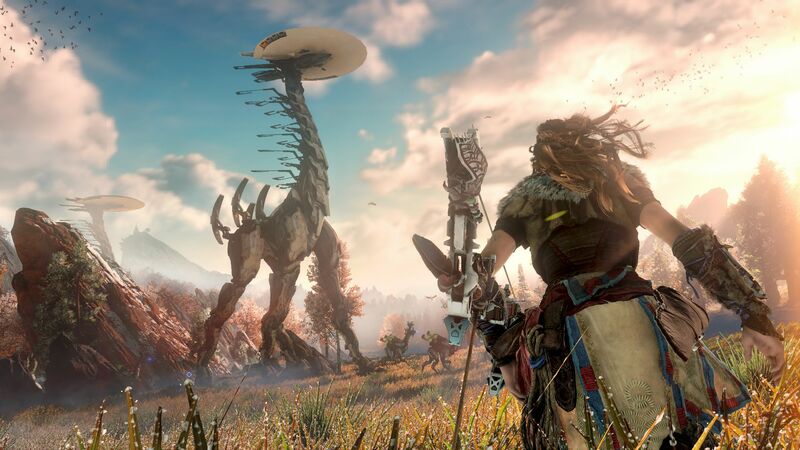 The potential for Horizon: Zero Dawn to become a major franchise for Sony has never been in doubt. Couple that with the somewhat cliffhanger-ish ending of the first game and it was obvious that we hadn’t seen the last of Aloy. Take this with some grain of salt though, especially since Guerrilla Games hasn’t so much as teased the sequel, but Gavankar does have some credibility. Guerrilla Games is also hiring for an online-focused title at present, so stay tuned for more information in the coming months.